Surrounded by lush gardens of oleanders, lavender and lemon, beautiful rolling countryside leading up to the Alpilles mountains. 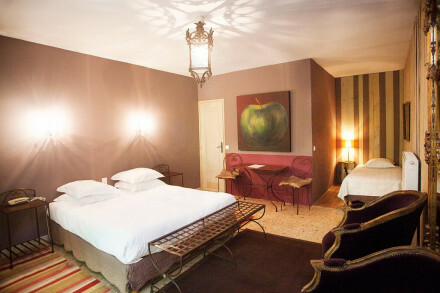 Country chic rooms, lavish meals with plenty of delicious wine all add up for a truly romantic experience. Every Wednesday enjoy the hustle and bustle of the Saint-Rémy-de-Provence market. Enjoy a game of boules or badminton in the lavendar scented gardens. 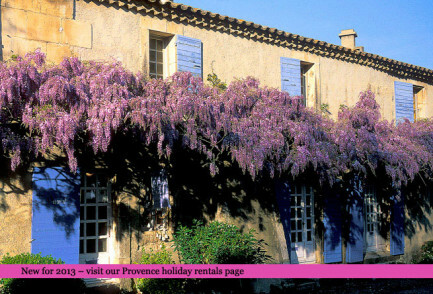 Head of for an exhilarating walk over the Alpilles mountains or the surrounding countryside. For trekking or riding lessons there is a equestrian center just around the corner. There is an excellent tennis club less then 500m down the road.